(CN) – Celebrating the advancement of its effort to make the Bronx Zoo free one of its Asian elephants, the Nonhuman Rights Project said Monday that Happy is the world’s first elephant to secure a habeas corpus order. The Nov. 16 order from Justice Tracey Bannister comes just over a week after the group complained that its petition was languishing in Orleans County Supreme Court. But the Nonhuman Rights Project notes that the Bronx Zoo euthanized Happy’s longtime companion Grumpy in 2002 and separated her around the same time from two other elephants named Patty and Maxine. Happy has lived alone since the zoo euthanized Sammie, the next elephant that became Happy’s companion, in 2006. Justice Bannister scheduled oral argument in Happy’s case for Dec. 14. “We are grateful to Justice Bannister for carefully considering our arguments as to why Happy’s case should move forward,” Elizabeth Stein, an attorney with Nonhuman Rights Projects said. Steven M. Wise, founder and president of the group, celebrated the habeas order as well. The Bronx Zoo reacted to the habeas petition last month by noting that Happy shows “no signs of physiological or psychological stress,” and maintains a close bond with her caretakers. 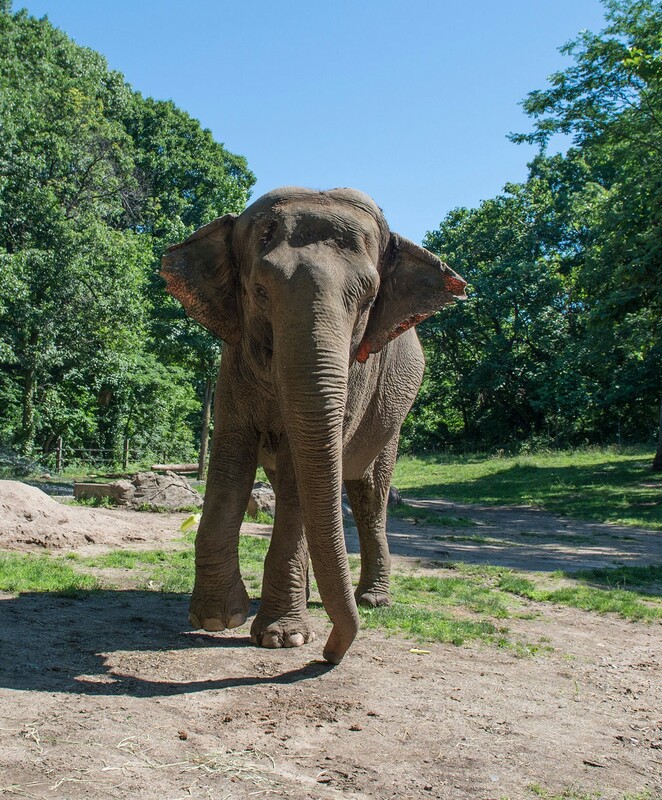 In Connecticut, the Nonhuman Rights Project is appealing on behalf of the elephants Beulah, Karen and Minnie, which are owned by the Comerford Zoo in Goshen. Though the organization secured the world’s first habeas corpus hearing involving an animal in 2015 — part of a fight to recognize the personhood of a chimpanzee named Tommy — New York’s highest court closed the book on the case earlier this year.